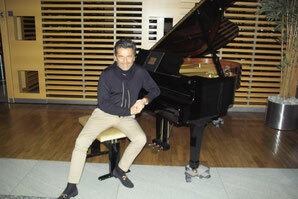 A colorful Easter Fest full of surprises - Thomas Anders Online - Die offizielle Fanpage! Since November 2014 I had tickets for the show “Willkommen bei Carmen Nebel” in the TUI Arena in Hanover. It was such a big surprise when I saw Thomas on the guest list. Recording date was the 28th of March 2015. It was my birthday, so I went there to enjoy some music, some surprises and the atmosphere of this diversified show. Just had to pack my backs, to program my navigation system and then I was fit for the motorway. 2,5 hours journey were expected. They announced some stormy weather, but only for the next days, so I had a quick and streamlined ride. 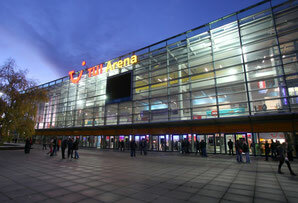 The TUI Arena lies in the middle of the former world exposition (EXPO) in 2000, in the south of the trade fair town Hanover. I was flashed by the size of the stage, when I entered the studio. This stage should be filled up in the course of this evening. In the middle was a couch for the talk guests, on the right and the left hand side were two stages. 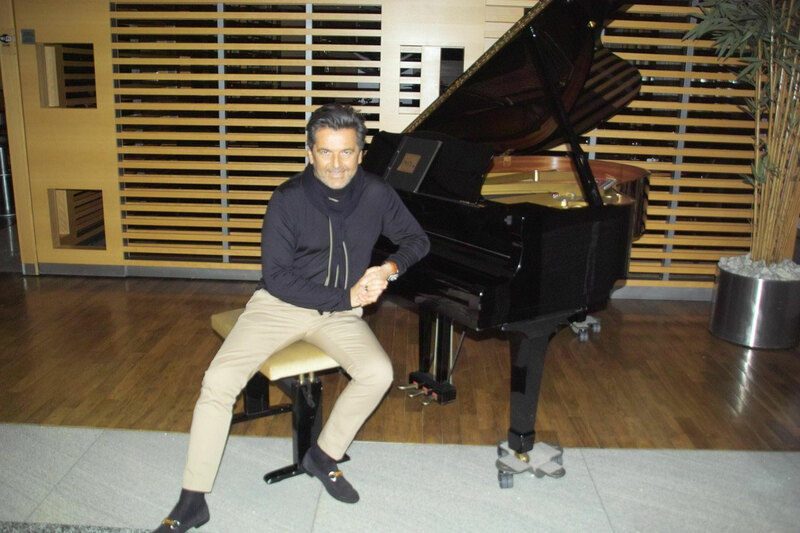 Over 25 guests were announced, like the German actor Matthias Schweighöfer, the singers Howard Carpendale, Jürgen Drews, Matthias Reim, Beatrice Egli, Thomas Anders and music groups like Boney M., Karat or Oonagh. Because they wanted so broadcast the show on Maundy Thursday, so today, they recorded it, more comfortable for the audience, on the Saturday before. I was on a live show of “Willkommen bei Carmen Nebel” before and now they tried to record it in one take and you nearly couldn’t feel the difference. Not so usual for recordings.  The warm-up was amusing. The German choir director Gotthilf Fischer (Fischer Chöre) startet to sing the song “Verdammt ich lieb’ dich” of Matthias Reim with the audience, which plays a big role in the later show. In the background you could hear the gurgling sound of some cars, polished engine hoods could be seen aside the stage. But I won’t give away this secret.  The show is really entertaining. The appearances come one by one. Much music with medleys, evergreens and new hits, jubilees are celebrated, there are some musical declarations of love and an emotional surprise for Liz Mitchell feat. Boney M. The German comedian and parodist Matze Knop provides some funny moments, the first edition of “CSDOH” (Carmen sucht den Oster Hit) runs on the show. Some funny Easter games took place, this time male vs. female. A highlight of the show surely was the new interpretation of “Blau blüht der Enzian” by the German singer Heino and his folk music colleagues Patrick Lindner, Wildecker Herzbuben, Judith & Mel, Gotthilf Fischer and Stefan Mross. Very touching are the tributes for the dead German entertainers Udo Jürgens and Harald Juhnke. In the latter case Thomas plays a big role. Some talking and two songs, you can be happy for it, he sings in German. Together with the former “Wetten, dass…? !” moderator and singer Wolfgang Lippert and with the German actor and singer, Karsten Speck he brought the swing to Hanover. And for whom the temperatures outside are to cold, the Chippendales will bring some heat into your living rooms. ;-) Music fans get one’s money’s worth. Switch on the television, the big Easter Gala of Carmen Nebel. Today, 20:15 on ZDF. In this spirit, Happy Eastern to everyone !